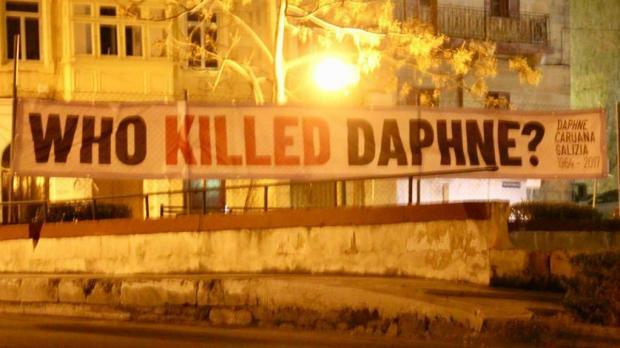 Several banners were displayed in various vantage points on Thursday night to mark the four months since journalist Daphne Caruana Galizia was killed by a car bomb. 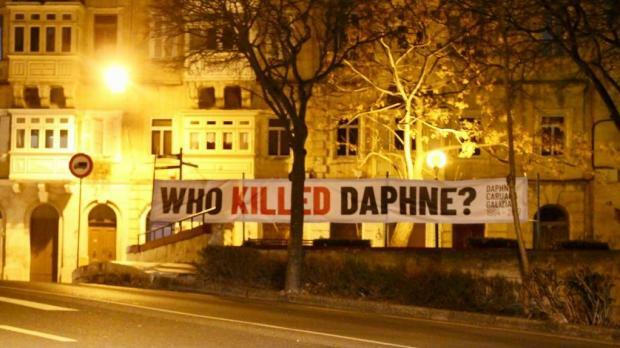 The first banners erected late on Thursday read: "Who killed Daphne?" 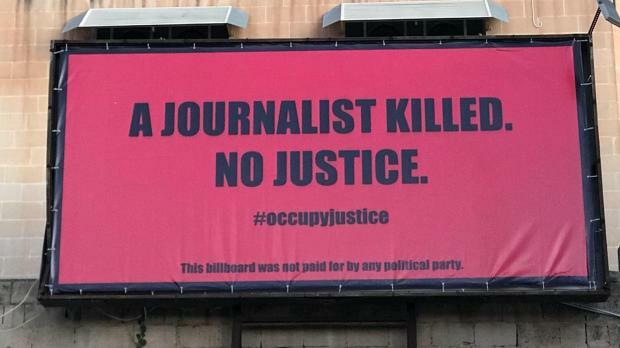 Later, other banners were put up by the #OccupyJustice reading "A journalist killed. No Justice", "A country robbed. No Justice", and "No resignations. No Justice." After months pass without the culprit being caught, the mother makes a bold move, and puts up three billboards on a main motorway, with pointed messages directed at the town's revered chief of police, the pressure group said in a statement. 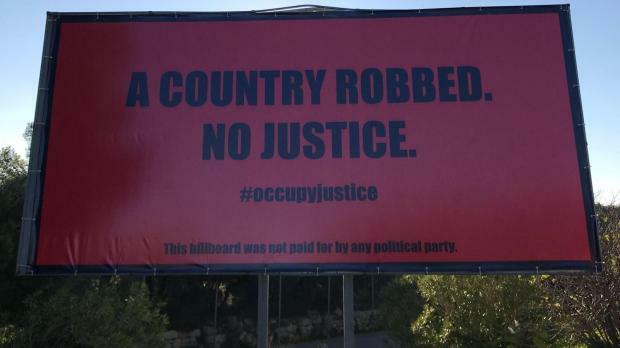 In the case of Malta, the billboards, placed along Regional Road and the Coast Road, are directed at the Prime Minister, #OccupyJustice said. The billboards specify that they were not financed by any political party. “The country is rife with corruption and there is not even a semblance of justice being carried out. Yet, the government refuses to address this because it is feasting on a culture of impunity.” They reiterated that they would not rest until justice is served. 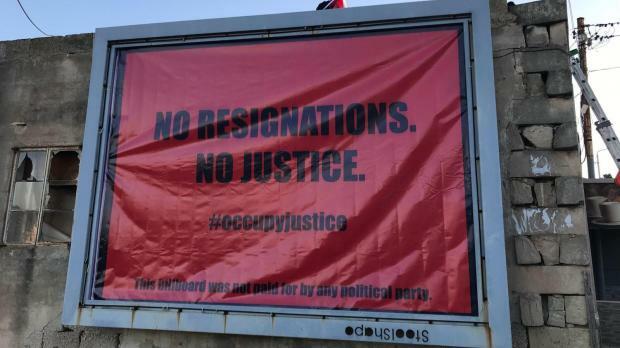 #OccupyJustice is also asking for the resignation of Police Commissioner Lawrence Cutajar and Attorney General Peter Grech arguing that neither of them had, as would befit their role, taken matters in their own hands but were simply dancing to the government’s tune. Ms Caruana Galizia was killed as she drove out of her house in Bidnija at 3pm on October 16. Three suspects were arrested and subsequently arraigned in December, but the hunt is still on for the person or persons who actually commissioned the crime. 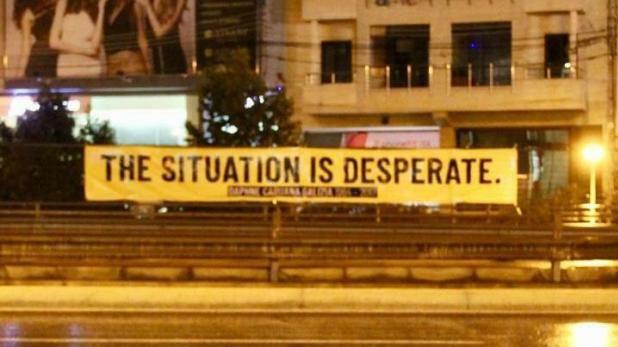 A month after the killing, banners were put up with her last written words: 'The situation is desperate'. 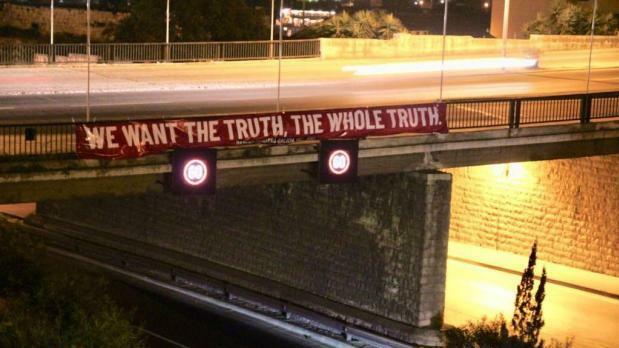 A month later new banners appeared, demanding 'the whole truth'. The months following the killing have been characterised by a stream of controversies amid calls for the replacement of the Police Commissioner and the Attorney General and the strengthening of the rule of law and press freedom. The situation has been debated in the Maltese parliament and the European Parliament. Controversy has also raged over the makeshift memorial for Caruana Galizia at the foot of the Great Siege Monument in Valletta, amid calls for the Civil Society Network for a permanent memorial to the journalist in Great Siege Square. The network will hold a candlelight vigil on Friday at 6.30pm in the square.